Another weekend and it was cold and the wind was blowing. 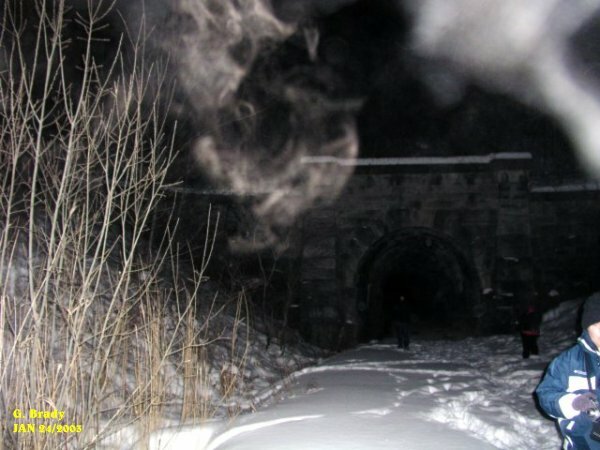 So the only place where we could go and do some investigative work when the weather was against us was the Blue Ghost Tunnel. The trail that leads to the tunnel was knee deep in snow. This made for an interesting walk to the tunnel. The hill was very slippery so we had to be extra careful. 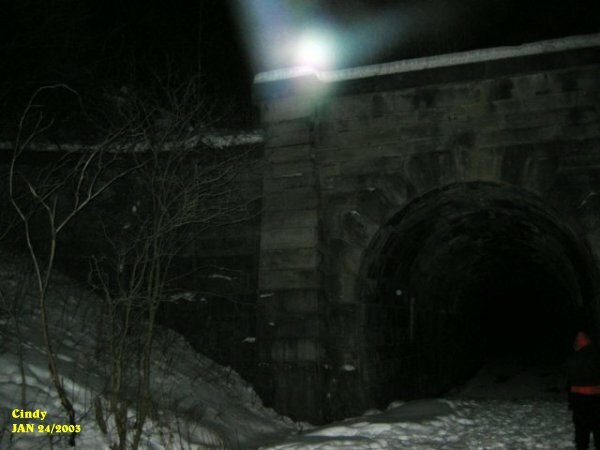 Once we arrived at the entrance to the tunnel it had a dead silence to the area this night. The entrance almost had a menacing feeling to it. We met up with Wendy who joined myself , Cathy, Cindy and Chad to conduct another investigation at the tunnel. 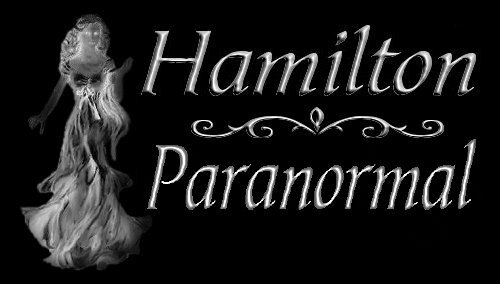 We have always believed the more you investigate a place the more you will get on camera, for the spirits that occupy the area will show themselves more and more. The tunnel has a lot to offer the paranormal investigator, making a visit to the tunnel a new experience each time one visits. Before entering the tunnel I took some pictures of the outside. And in the above photo you can see some strange activity starting up before we went inside. Just above the tunnel entrance you can see an ecto form of a dogs head. In the past couple of investigations we have done here there appears to be a lot of animal spirits that are showing themselves to us. 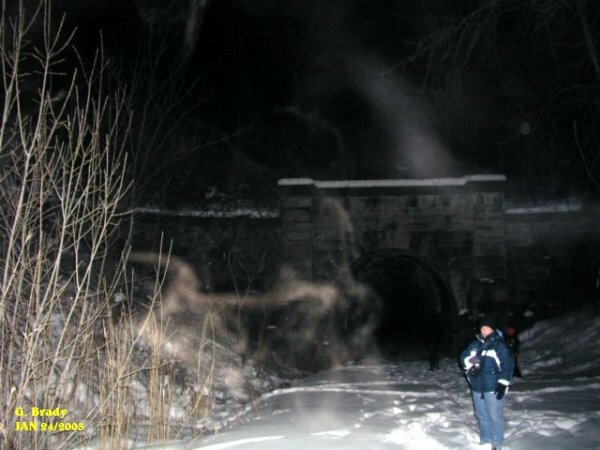 This photo shows an energy form streaking by the entrance. This photo also shows some more energy forms that appeared to be guarding the entrance. Or whatever spirits were there were coming to see what we were up to. 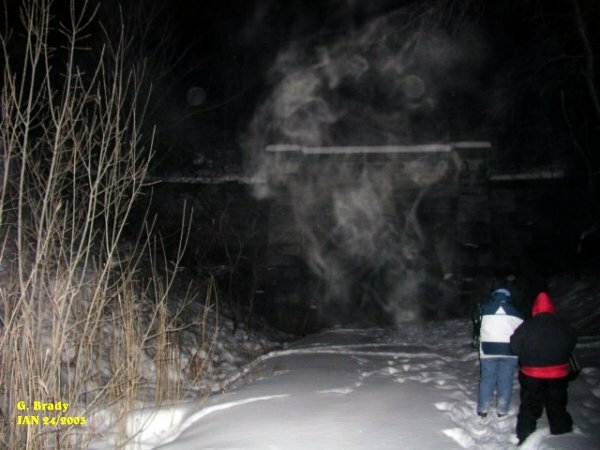 Cindy had captured this energy form just to the left of the entrance of the tunnel. The form itself had a lot of energy to it with strong vibrant colors as well. 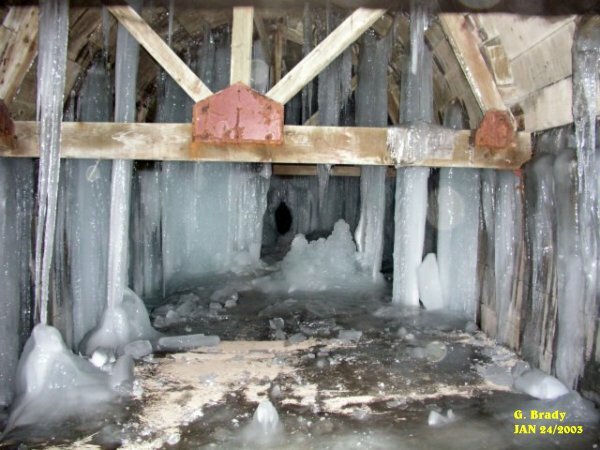 Of course once we went inside, the main point of interest was to go and take a look at the other end of the tunnel to see how much more ice had accumulated since we last visited. At the time we could not figure out how the hole in the wall of ice was formed. 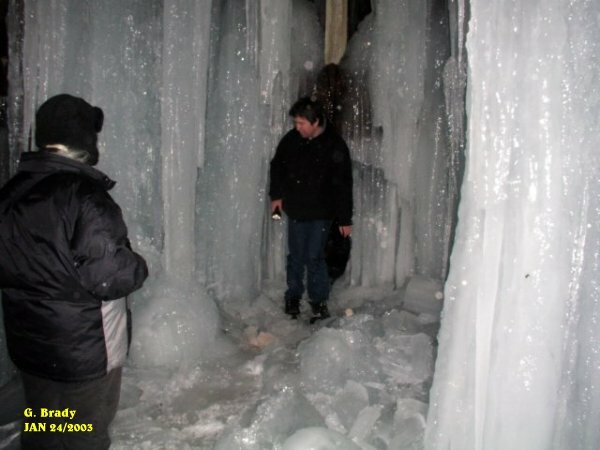 But later we discovered that a fellow named James and a few of his friends had gone down to the tunnel with a sledge hammer to try to break through the wall of ice so they could reach the far side of the tunnel. 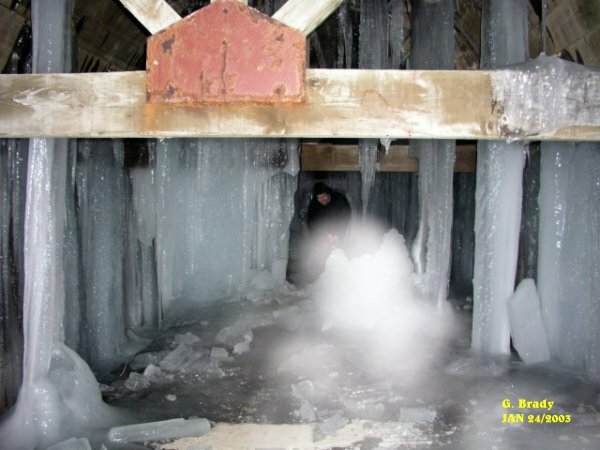 Chad from Lost Souls Paranormal had gone to the hole in the ice to see if he could fit through it. 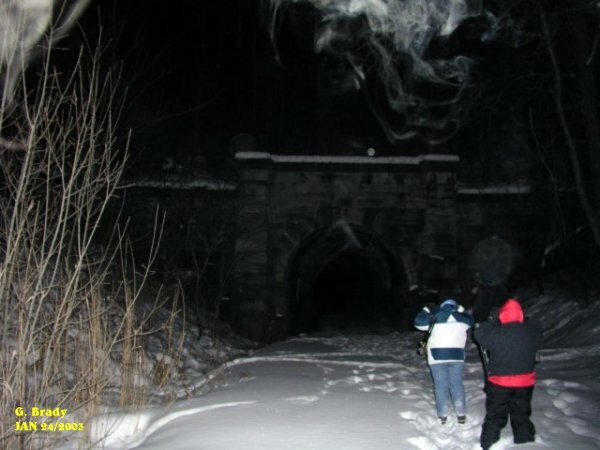 This photo also shows an ecto form that was in front of him. Cathy and Chad near the wall of ice in the back of the tunnel. Chad was still wondering how to get through the hole at the time this photo was taken.